Comedian, Actor, Writer, Paul Reiser comes to Barbara B. Mann Performing Arts Hall at FSW on Friday, February 1 at 8:00PM. Tickets go on sale Friday, November 2 at 10AM at the Box Office, online at www.bbmannpah.com or call (239) 481-4849. 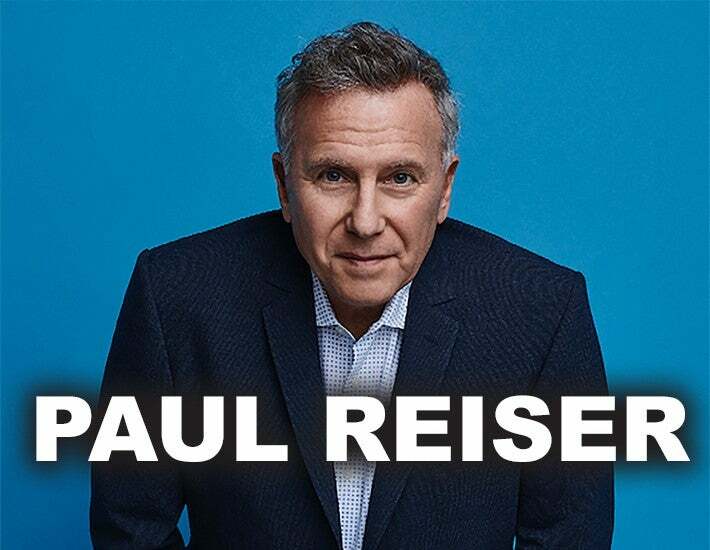 Comedian, actor, television writer, author, and musician Paul Reiser has spent the last 30+ years acting in Oscar and Emmy award-winning movies and TV shows. He was voted one of Comedy Central's "Top 100 Comedians of All Time." The NY-bred and LA-based Reiser has made a number of appearances on screen and even lent his talents behind the camera. Reiser joined the cast of Netflix's 'Stranger Things' for the series' highly anticipated second season, which was released in October and recently renewed for a third season. In a role created by the Duffer brothers with him specifically in mind, Reiser played Dr. Owens, a high-ranking member of the Department of Energy who is brought to the small town to investigate the supernatural situations at play. Reiser collaborates once again with David Gordon Green ('Pineapple Express,' 'Prince Avalanche’), as well as with Steven Soderbergh on the critically-acclaimed hit Amazon series 'Red Oaks.’ Reiser's role as Doug Getty, the president of a New Jersey country club in a nostalgic 80's themed setting, was called "one of his absolute finest, not just of late, but of ever." The show’s third and final season premiered in October. The actor will co-star alongside Mila Kunis and Kate McKinnon in the new action-comedy, ‘The Spy Who Dumped Me,’ which is in theaters now. Additionally, Reiser has been cast in the latest project of ‘Mad Men’ showrunner Matthew Weiner, ‘The Romanoffs.’ The forthcoming Amazon mini-series is centered around the modern-day descendants of the mysterious Romanov dynasty. Reiser will co-star alongside Christina Hendricks, Isabelle Huppert and Jack Huston. The show is set to be released in 2018. Reiser’s recent films include John McDonagh's 'War on Everyone' with Alexander Skarsgard and Michael Pena, 'The Book of Love' with Jessica Biel and Jason Sudeikis,'The Little Hours' with John C. Reilly and Aubrey Plaza, and the Lake Bell-directed 'I Do… Until I Don’t' with Ed Helms, Amber Heard, and Mary Steenburgen. Reiser has had notable performances in films such as 'Diner,' 'Bye Bye Love,' 'The Marrying Man,' 'Aliens,' 'One Night At McCool's,' and 'Beverly Hills Cop' (I and II). He also co-created and starred in the critically acclaimed NBC series 'Mad About You,' which garnered him multiple Emmy, Golden Globe, American Comedy Award and Screen Actors Guild nominations. More recently, Reiser earned acclaim for his supporting role in the 2015 Golden Globe-winning and Academy Award-winning film, 'Whiplash,' starring JK Simmons and Miles Teller. Reiser’s book, Couplehood, has sold over two million copies and reached the number one spot on The New York Times bestseller list. Reiser’s second bestseller, Babyhood, features his trademark humorous take on the adventures of being a first-time father, followed by his third bestseller, Familyhood. Paul Reiser and his family reside in Los Angeles.